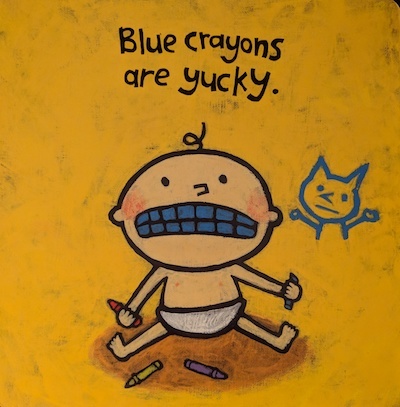 Leslie Patricelli's Yummy Yucky has simplified my life in a way not dissimilar to the impact made by Michelle Kondo's Life-changing Magic of Tidying Up. The 2003 release was inspired by Patricelli's own son, and her constant reminders to him about what to put in his mouth... obviously. What the clear images and messaging has crystalized for me, though, is what is good and what is bad in the world. Patricelli's son and I have differing opinions about some things, understandably. 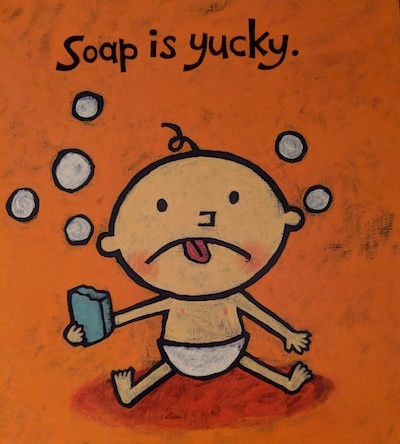 When I was a baby, I'm sure I also thought coffee was yucky, but the point is not to agree. The point is to understand, and to act. When something is yucky, we want to avoid it, and when the choices are simple and clear, we know what to do! Reducing the world to either "yummy" or "yucky," has made me more confident in my opinions. 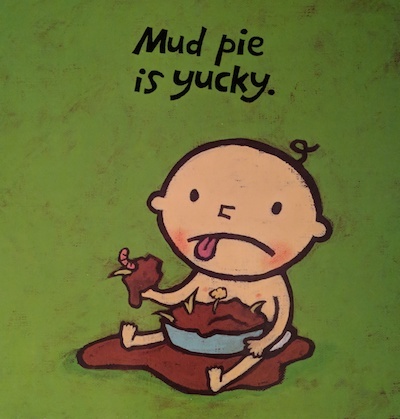 In the past, if I hadn't enjoyed a dish from a restaurant, I might have said "meh," or "not my taste" - taking the responsibility for the "yucky-ness" onto myself. There are so many options, and the chef chose one that doesn't suit me. My new simplified world view doesn't make me listen to excuses, or make considerations. It's not the chef's fault that I don't like his dish, and it's not my fault that I don't appreciate his cooking. Maybe a hundred other people do like it, but none of that comes into it. Plus, his face! Omg. Too funny! 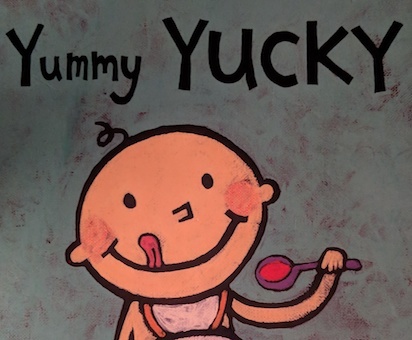 More important than the entertainment, or even than the valuable information, Yummy Yucky provides us with a guide for decision-making today, tomorrow, and into the future. I give it a Perfect 10, and urge you to try eliminating the shades of grey from your life, and see what it does for you. ... or just talk about it with your toddler.